Is compromise killing your church? Discover how to move people from consumer to commissioned in this new book by Danny Franks. Now available from Zondervan. Order People are the Mission from any of the retailers below for an exclusive launch bonus. Churches should reach new people. That’s usually not a controversial topic. But how churches reach new people can be a touchy subject. Some churches view guests as the center of their weekend universe, breaking out all the bells and whistles to give the masses what they want and keep them coming back. Others inadvertently see their community as an afterthought. After all, if they just follow the formula and deliver the doctrinal goods, that should be enough, right? What’s worse, each camp tends to view the “other guys” with suspicion. We believe our way is the best way, and any other way is simply too stuffy / shallow / liturgical / laid back / standoffish / watered down. What if we didn’t have to choose between holding firm to the faith and swinging the doors open wide? The best sermons don’t start with a prayer or a poem. They start in the parking lot. There is a lot of hostility levied at the organized church. But when hostility meets hospitality, it can turn cold hearts warm and serve as an in-road for the gospel. Being a church that is “everything for everybody” isn’t a strategy, but a compromise that will hasten your irrelevance. When you open the doors to those on the outside, it will ruffle the feathers of some on the inside. How does the call to hospitality challenge and confront those stuck in “the way we’ve always done it”? Jesus is still in the people business. This book will help you understand how your church can be faithful to Jesus and faithful to his mission, too. Order the book now for exclusive bonus content. People Are The Mission study guide. Use these chapter-by-chapter discussion points to raise the stakes of your guest services teams. Author interview with Pastor J.D. Greear. In this video interview, Danny and J.D. discuss how the Summit Church manages the tension of being both attractional and missional. People Are The Mission at a glance. Need a 1,000 foot view of the book’s content? We have a cheat sheet that will help. Creating a “Whole Church” Hospitable Culture. This article by the author gives six tips to move a guest-friendly environment beyond your guest services team, making hospitality the job of everyone in your congregation. To claim your bonus for People are the Mission, simply order your copy, and enter your information in the form below. Order the book from any of the retailers below. Complete the form below and your bonus content will be emailed to you! Enter the order or receipt number from the retailer where you ordered the book. What does hospitality look like? This is where Danny Franks’ new book People Are the Mission helps us! Danny reminds us that people want to feel respected and honored. They don’t want shock and awe, and they don’t want to be an afterthought. They just want to know you care, for real. If you’re a leader in a church or business, and you want to improve your culture of hospitality, then you’ll love Danny’s new book. It’s a must read! Writing from a heart captivated by the gospel, Danny Franks has delivered a powerful, impressive work that church leaders – regardless of position – will find tremendously helpful in establishing a culture of hospitality throughout their church and ministry areas. People Are the Mission balances a keen intellectual understanding of the nuts and bolts of hospitality with a gospel-centered foundation. This compelling combination comes from Danny’s practical, lived-out and loved-through leadership with hundreds of leaders at his own church and across the country. Using his razor-sharp wit, Danny makes his point, driving right to the heart of the matter with a balance of aw-shucks genuineness wrapped up in instantly-applicable lessons you will immediately grasp. People are the Mission will become one of your most-used and referred-to training helps for years to come. Pick up a copy today, start reading it tonight, and begin applying it tomorrow. The gospel is like a song. It has both lyrics and a musical score. Those who water down the lyrics to make the song more palatable may gain a crowd. But they’ll inevitably lose the gospel. In the same way, those who allow the gospel to be presented in a lame, unwelcoming, or culturally out-of-touch environment end up singing true words that nobody listens to. Danny Franks has written a helpful and balanced book that corrects the pendulum swing between these two extremes and connects the dots between staying true to the gospel message and adapting to the culture we live in. 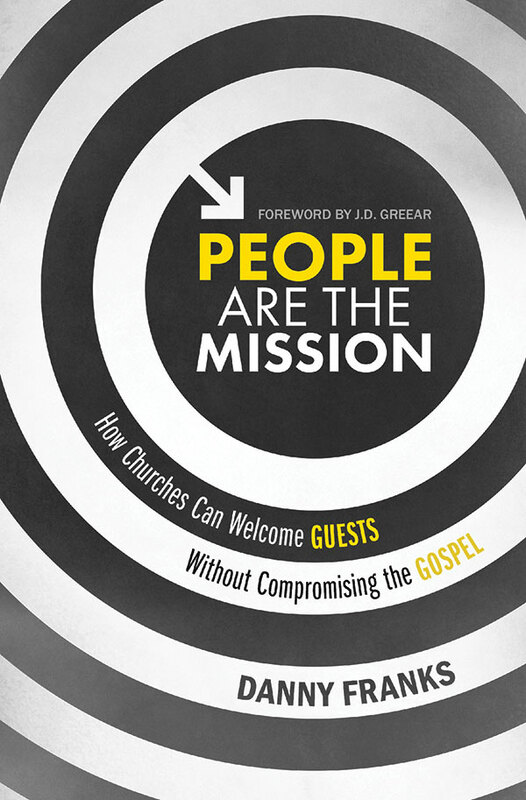 If you desire a guest-friendly, gospel-centric ministry, this is a book you need to read. 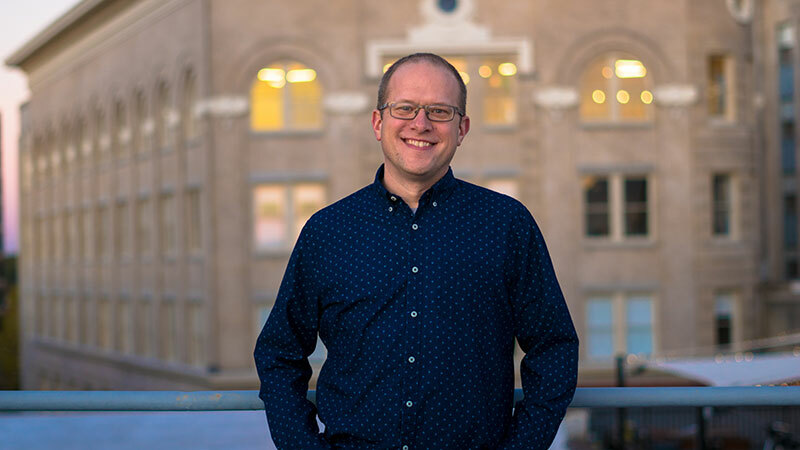 For the last 15 years Danny has served as the Pastor of Guest Services at the Summit Church in Raleigh-Durham, North Carolina, which Outreach Magazine ranked as one of the fastest-growing churches in the United States. In his role, he oversees guest services for nine campuses, reaching over 11,000 people each weekend. Danny’s passion for the church is to help outsiders become insiders, and challenging insiders to reach outsiders. He has trained and consulted with churches across the country, and regularly writes on guest services and volunteer culture. He’s married to Merriem (out of his league), dad to three boys (cooler than he was at their age), and protector of one princess (cute as a button). A new book from Danny Franks. Now available from Zondervan.